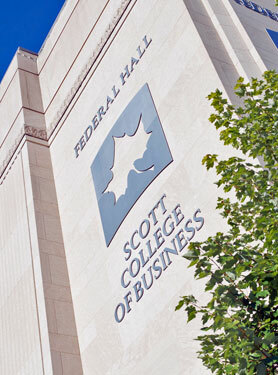 Alumni from our Finance Program have top-level positions with companies around the globe, and they remain committed to the success of the program and the College of Business. Keep in touch so we know how you are excelling in your field and so we can keep you informed of finance program happenings. Divisional President of LifePoint Hospitals Inc. in Brentwood, Tenn., Raplee previously served as senior vice president and operations chief financial officer as well as divisional chief financial officer, also with LifePoint. Prior to that, he served in various leadership positions with HCA. Vice president and corporate banking officer with Old National Bank, Gmelich previously served as a team leader for the commercial credit analyst group and as a commercial analyst, also with Old National. 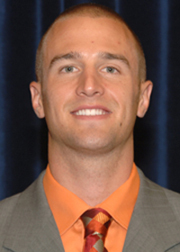 In addition to his finance degree, Gmelich earned his master's in business administration (MBA) also from ISU. 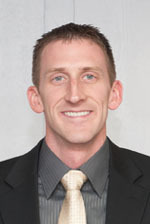 He is also a member of the Scott College of Business' inaugural Young Professionals Board. Benjamin Gradle is a risk management examiner with the Federal Deposit Insurance Corporation (FDIC) in San Juan, Puerto Rico. He was formerly an analyst with the Office of Thrift Supervision, a branch of the Department of the Treasury, in Seattle, Washington. There, he helped to oversee the safety and soundness of banks nationwide. In addition to finance, Gradle also majored in business administration, with a minor in insurance and risk management. 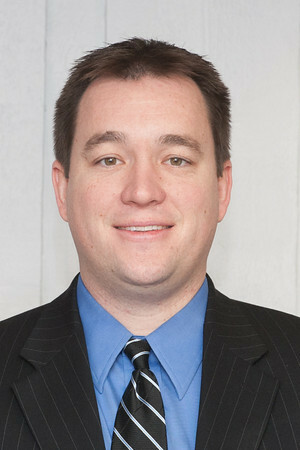 He's a member of the Scott College of Business' inaugural Young Professionals Board. 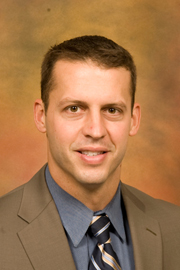 Clark, a financial manager for the Department of Defense, is a member of Scott College of Business' inaugural Young Professionals Board (he serves as chair). He also was a former president of ISU's successful Student Investment Club and earned his MBA from the Kelley School at IU. He also is very involved as a motivational speaker. Julie Cunningham Schlosser is a Trust Officer for Old National Bank in Terre Haute. She has over 15 years of experience in the banking industry. She started at Old National as an Investment Assistant and has since worked in the Risk Management area as a Loan Review Officer and Underwriter for consumer loans. She serves also as the Treasurer for the Estate Planning Council of Illiana, Inc. TJ is a member of the Scott College of Business’ Young Professionals Board. After earning his degree, TJ went to work for Fifth Third Bank as a relationship manager for several years, and he has been with Harris Bank since 2009, first as relationship manager, then as vice president. In addition to serving as vice president, he is a manager of Harris Bank’s Central Indiana Business Banking Group. In 2011, he finished as the number one relationship manager in the entire Harris Bank business banking group and was the only employee to qualify for the “Millionaire’s Club,” producing at least $1 million in revenue. He also serves as a mentor to business students and is very involved in college activities and business connections.